On January 5, 1914, a meeting was held in the Wayne building by a committee composed of J.J. Oller, J.G. Benedict, Dr. D.B. Snively, W.J.C. Jacobs and J.H. Stoner, committee chairman. Eventually a fund-raising goal of $100,000 was set. The subsequent campaign was given a tremendous lift when Mr. D.M. Wertz, who was then in Jerusalem, cabled a fifty-thousand-dollar pledge to the committee. His cable challenged the committe to raise a matching amount. Almost $170,000 was eventually raised. A decision was then reached to build a four-story brick building on North Potomac Street. It was to include a basement billiard and poolroom, shower and locker rooms, bowling alleys, a lobby, swimming pool, gymnasium, kitchen, running track over the gym, and thirty-eight rental rooms. On Wednesday, May 5, 1915, Carl R. Gray, President of the Western Maryland Railway Company, laid the corner stone in the presence of a large crowd. Pennsylvania Governor Brumbaugh delivered the dedicatory address. The newspaper, 1915 mint coins, and a list of directors and supporters were placed in the corner stone. Waynesboro’s schools were closed for the occasion in order that the boys could march with the Wayne Band. The building was completed six months later. Over the next sixty years, the Waynesboro YMCA served as a center for spiritual, mental and physical growth for many men, women, boys and girls of the area. During these years, many lives were touched by programs such as bowling, Leaders club, Saturday night club, ladies auxiliary, swim lessons, Good Friday breakfasts, gymnastic shows, Y’s men’s club, Y-Gradales, annual circus, Y-Hi tournaments, Platter Plaza, city league basketball, Tri-Hi-Y clubs, Mora club, Bible study, wrestling and swimming teams. In the early 1970’s the need for a new building became obvious. With continual growth in interest and participation, the facilities of the 60-year old building became inadequate. So another fund-raising campaign was begun. Thanks to the strong support from Waynesboro and the surrounding areas, over one million dollars was raised and a new YMCA was built on East Main Street. The stunning new facilities included a six-lane Olympic-style swimming pool, a fully equipped gymnasium, lounge, weight-lifting room, meeting and conference rooms, men’s and women’s locker rooms, and an outdoor play area. The Y membership and facilities have grown steadily since moving to the new location. In 1979, two racquetball courts were added and then in 1984 a new gym storage area was built and the former storage was converted into a small “fitness center”. In the first ten years that the Y was on East Main Street, membership went from 750 to almost 2000. The number of program offerings increased from 25 to over 100 and the Association budget grew by almost 400%. This growth, in fact, soon led to new plans for expansion, and in 1980, the Board of Directors set the wheels in motion to add to the facilities of the YMCA. In November of 1984, a one million dollar fund-raising drive was launched; The Campaign was successfully completed in the summer of 1985 and construction began in March of 1986. 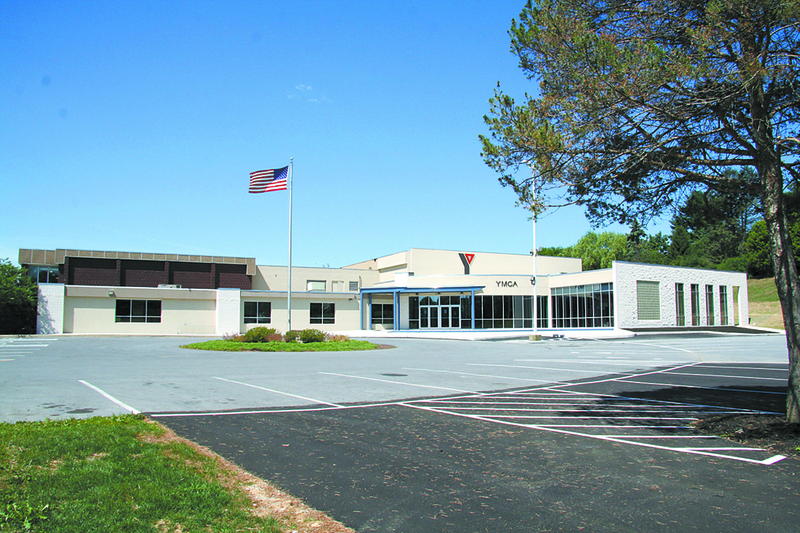 At the full completion of the program, the Y added a full fitness center, second gymnasium, general-purpose room, additional parking and other renovations. Then in 1988 plans for a youth center were stimulated by a $35,000 bequest from the estate of John and Mildred Minnich. Additional funds were quietly raised and a new Youth Center was dedicated at the front of the building in early 1989. In 1992 planning was initiated for another expansion, and in September of 1994 a $1.1 million dollar campaign was begun with a public kickoff in February of 1995. Today facilities include a second pool, childcare space and other renovations. In 1996, a 1.1 million dollar campaign was successfully completed and a second pool, childcare space and other renovations were completed. The Y now has over 3000 members. Again in 2005, the Y embarked on a $1.5 million campaign to add a new fitness center, teen adventure center, Kids’ Zone, special needs locker rooms, additional storage, and other internal renovations. Membership has reached nearly 3600 with over 100 different programs offered.